Boxing has lost a great champion. 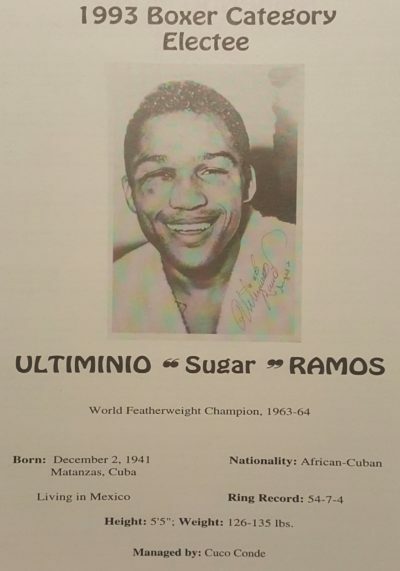 On September 3, 2017, Cuban featherweight Ultiminio “Sugar” Ramos passed away in Mexico City from cancer complications. 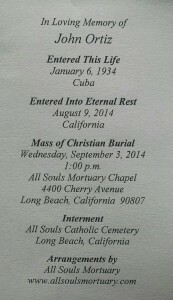 Born in Matanzas, Cuba, he was 75 years old. Ramos is most remembered for two ring deaths, one inspiring a Bob Dylan song. On March 21, 1963, Ramos and champion Davey Moore traded vicious punches in a scheduled 15 round featherweight title fight at Dodger Stadium in Los Angeles, California, that was witnessed by 26,142 in attendance. 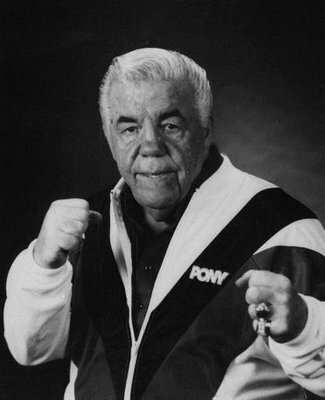 On March 8, 2017, Lou Duva passed away from natural causes at St. Joseph’s Hospital in Patterson, New Jersey. He was 94 years old. 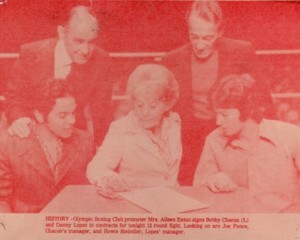 Lou had a remarkable career as a trainer, handling nineteen world champions. Some of the boxers, just to name a few, that Lou was involved with were Evander Holyfield, Pernell Whitaker, Meldrick Taylor, Michael Moorer, Arturo Gatti, Mark Breland, Lennox Lewis, Rocky Lockridge, Bobby Czyz, Johnny Bumphus, Tony Tucker, Mike McCallum, Vinny Pazienza, Hector Camacho, Fernando Vargas, Andrew Golota, Alex Ramos, Livingstone Bramble, Tony Ayla Jr., and Joey Giardiello who was his first world champion in 1963. 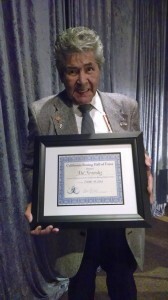 NOTE: This article was originally posted last month on September 10, 2016 … re-posting in honor and remembrance to a friend and great boxing champion of his recent passing … may his memory be with us all now and forever! 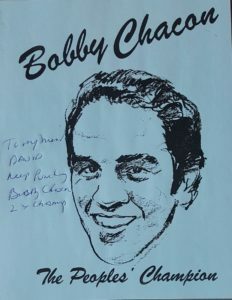 On September 7, 2016, one of the most exciting, fan friendly boxers I have known, in my 55 years in boxing, passed away – two time featherweight champion Bobby Chacon. 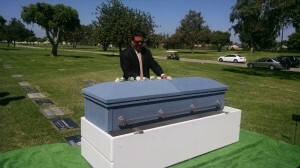 He was a friend to many, including myself, and was 64 years old at the time of his passing. 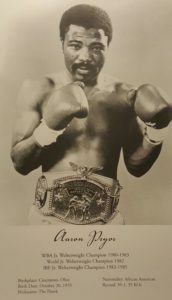 Bobby engaged in some of the best fights of his era, during his brilliant career (1972-1988) 59 wins, 7 losses, one draw, with 47 wins by knockout. 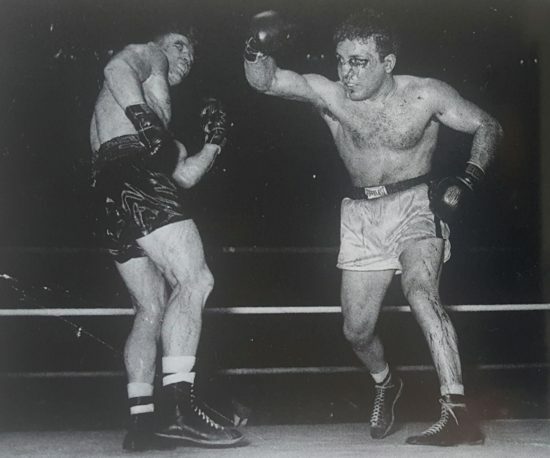 He fought all comers, to name a few: Tury Pineda, Jose Luis Martin Del Campo, Frankie Crawford, Chucho Castillo, Ruben Olivares, Danny Lopez, Alfredo Marcano, Rafael Limon, Alexis Arguello, Cornelius Boza-Edwards, Ray Mancini, Freddie Roach and Arturo Frias. 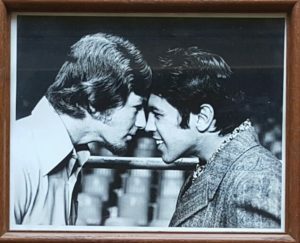 Bobby’s fight vs. Danny Little Red Lopez at the Los Angeles Sports Arena, on May 24, 1974, can arguably be considered one of the greatest intracity rivalries in the history of boxing. I was ringside that night and witnessed a great fight, with Bobby winning by knockout in round nine. I remember sitting next to Bryant Gumbel who was working as a sports newscaster for KNBC channel 4 at the time. We both had two things in common – a love for boxing and being born in the same year. 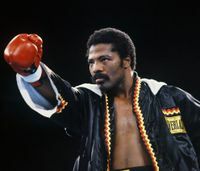 This past week on October 9, 2016 boxing lost a great champion, Aaron Pryor, at the age of 61 due to heart failure. 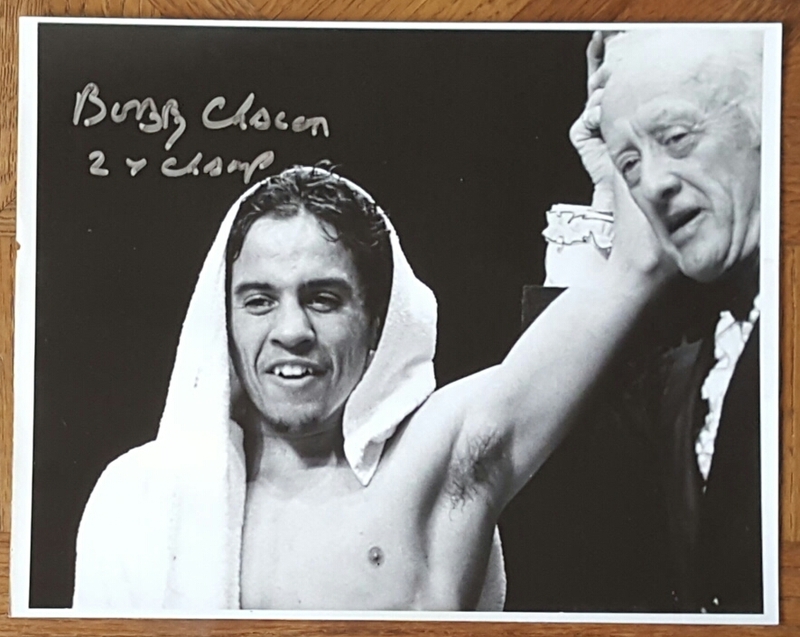 Pryor won the WBA junior welterweight title from Antonio Cervantes on August 2, 1980. After ten successful WBA/IBF title defenses he briefly retired in 1985 with a undefeated record of 35 wins. I consider his first bout with Alexis Arguello on November 12, 1981 to be one of the greatest fights that I have ever witnessed in my 55 years in boxing. Being behind on two of the three scorecards, Pryor rallied to stop Arguello in the 14th round. 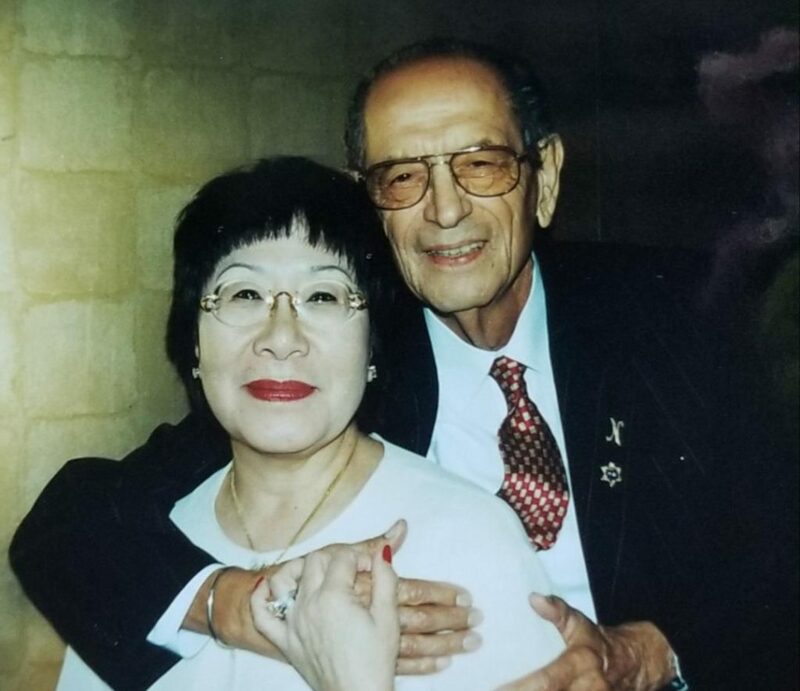 On May 3, 2016 a friend to many, former actor, and professional boxer, Abel Fernandez, passed away at the age of 85. Abel played Native American Federal Agent William Youngfellow on the hit TV series, “The Untouchables” (1959-1963). The show’s star was Robert Stack, who played Eliot Ness. 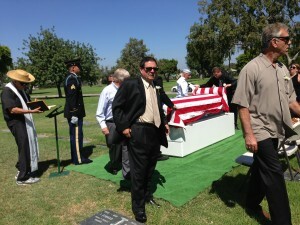 Abel was born in East Los Angeles on July 14, 1930, and attended Belmont High School. At the young age of 16 he enlisted in the United States Army, where he became a paratrooper in the 11th Airborne Division. While serving in the military, he won the Asiatic Forces middleweight championship. 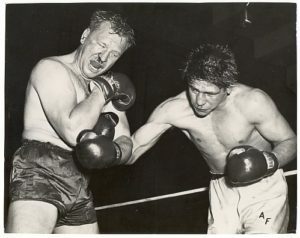 After his discharge in 1950, Abel won the Los Angeles Times Golden Gloves Tournament and was runner-up at the National Golden Gloves in Chicago. 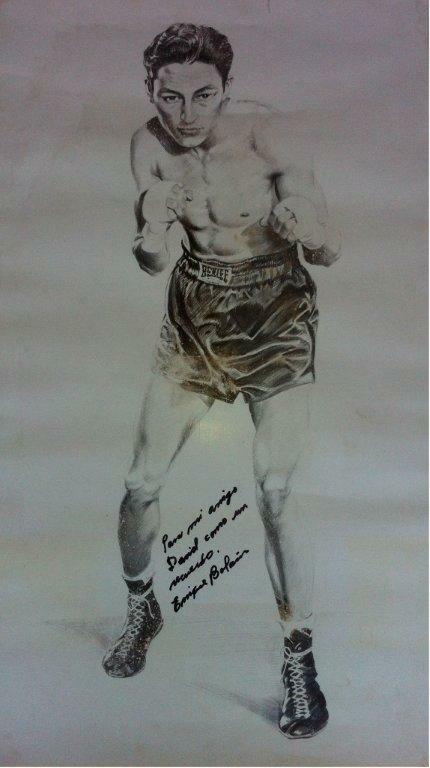 He later boxed professionally in the light heavyweight division from April 1950 to March 1953.